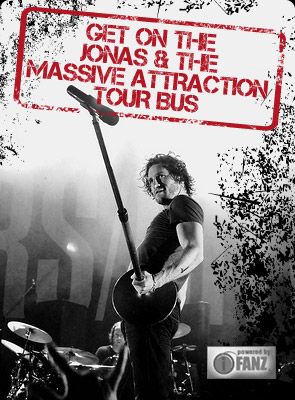 Great news…The new Jonas & The Massive Attraction “UNPLUGGED” Cd is now available WORLDWIDE! Hear the band perform a mixture of live and studio acoustic renditions of their songs, including their Top 10 hit “Big Slice”, “Seize The Day” and current Top 15 single “The Deep End”. The album also includes some gems from the past like “Here She Comes”, “Bows & Arrows” and their riveting live version of their hit single “Edge Of Seventeen”. Check out some ear candy from “Unplugged” at LISTEN TO “UNPLUGGED”. Get YOUR COPY NOW by downloading it on iTunes or purchase the Cd at BUY NOW!